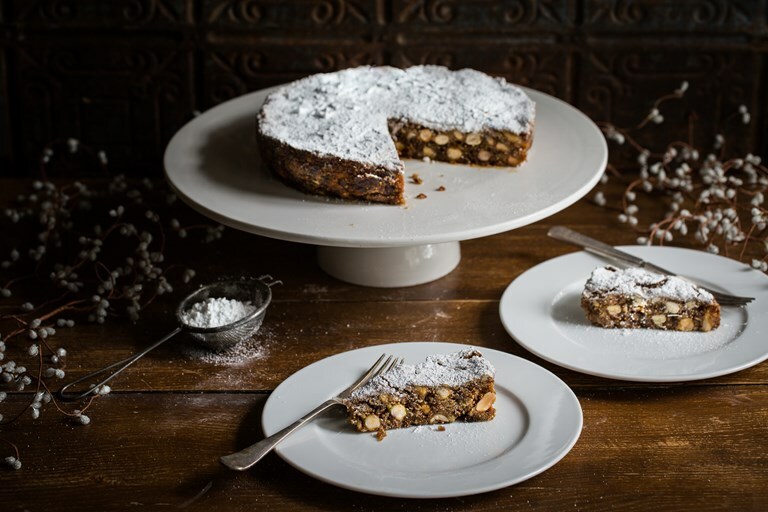 This sumptuous panforte recipe is packed with fruits and nuts, and is sure to add a little Italian glamour to your Christmas baking repertoire this year. ‘Stir-up Sunday’ may be traditionally a day to make your Christmas pudding, but it is also a great opportunity to get ahead and make other Christmas treats. 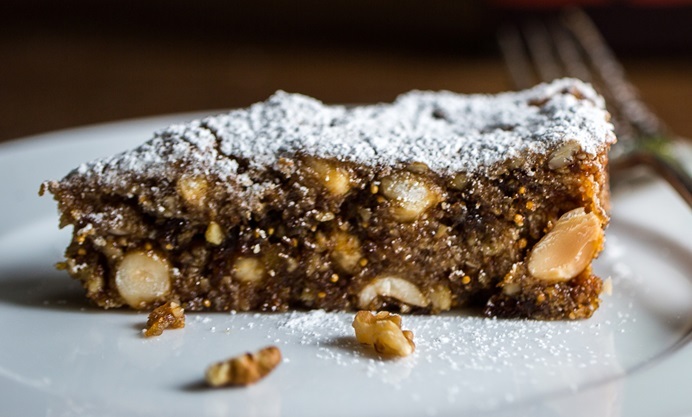 Panforte is a traditional Italian cake originating from the Tuscan city of Siena. Packed full of nuts, fruit, honey and spices, it has an almost candy-like chewy texture and flavour that is hard to resist. Panforte is quite straightforward to make, but do line the base with rice paper if you have it. The cake is quite sticky on the bottom and rice paper will make it easier to remove from the tin. If you do not have rice paper, just use some more baking paper as a lining for the base instead. The cake can be wrapped in parchment, then over wrapped in foil and stored for up to two months at room temperature. If you are making the panforte to give away as Christmas gifts, layer the cut wedges between parchment in gift boxes or bags. Don't forget to attach a label with storage instructions and an eat-by-date.